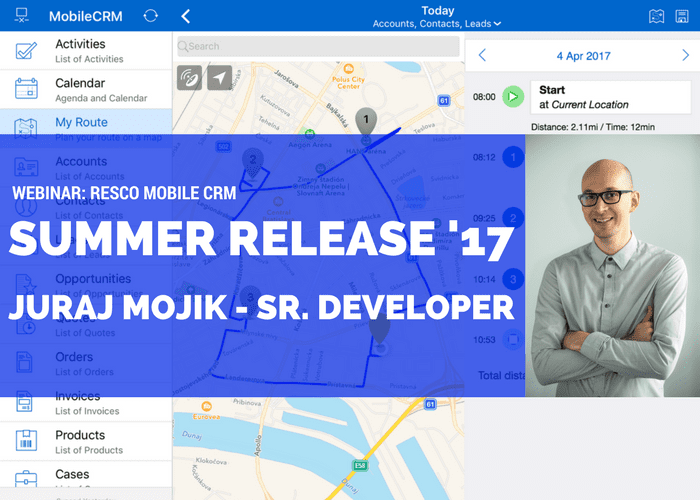 What’s new in the Summer Release (version 10.1) of Resco Mobile CRM? Enhanced mobile analytics, dynamic styles for fields and views, getting roles via rules, footer with more info, and other 30+ features & improvements! Get introduced to the newest features in a live tour by Juraj Mojik, Resco’s Senior Developer, who will not only do the walk through of the main features, but also guide you on how to set them up in the Woodford configurator, so you can start enjoying them right now!